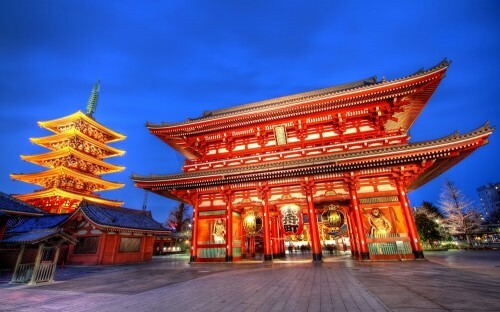 Cheap flights to Japan: Tokyo for €402! Etihad now offers cheap flights from Germany to Japan. 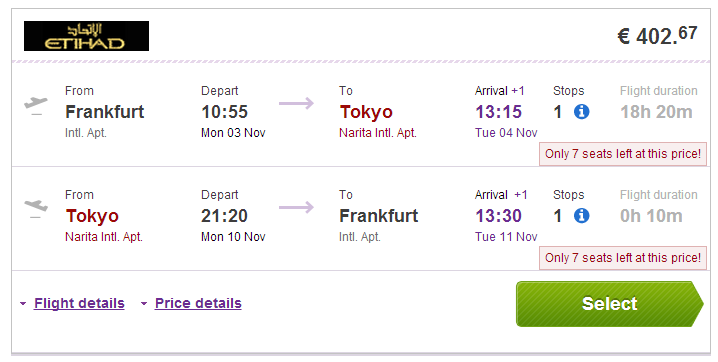 Return flights from Frankfurt to Tokyo are available for only €402! Travel dates are in November 2014. There is one short stopover in Abu Dhabi. 30 kg luggage is included in the price. Book via BudgetAir for the best price or directly via Etihad for €406. « HIT! Crazy cheap flights to Australia: Perth, Melbourne & Sydney from €475!